Home » Blog » Introducing the NEW pastel range from Solidor. Introducing the NEW pastel range from Solidor. 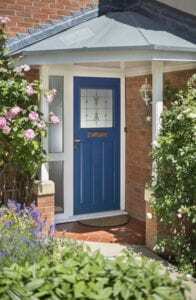 We are pleased to announce that we now offer the new pastel range from Solidor Composite Doors; the range consists of Twilight Grey, Lavender and Cobalt Blue increasing the number of colours you can choose from to 23. If you’ve never considered pastel colours for your windows and doors, we certainly implore you to think again. We often see customers picking colours based on only what they ‘like’ the look of and completely forgetting the stories that different colours can tell. Every single one of us reads what’s around us in colour, which is why we encourage our customers to understand the emotions associated with their choice of colour. For example, soft shades of Lavender are often associated with elegance, preciousness and wealth, whereas the slightly darker Cobalt Blue can symbolise trust and intelligence. Your windows and doors are one of the first things your guests will see when visiting your home, so make sure you give them the right first impression. With 23 different composite door colours and 100s of window colours to choose from, Quickslide can certainly help you pick the right colours for your project.